Oliver Norwood struck a dramatic late penalty to earn Fulham a 1-0 win at Championship play-off rivals Middlesbrough. The energetic midfielder won and converted the spot-kick deep into stoppage time to make Boro, who had hit the bar through Britt Assombalonga seconds earlier, pay for a few wasted chances. The victory lifted Fulham a point above Middlesbrough, who also had their own strong calls for a penalty waved away earlier in the second half, and a point shy of the top six. Fulham have steadily climbed the table since November and a run of four wins from five unbeaten matches building up to the Riverside trip had raised hope and expectations. But, even though they asked full-backs Ryan Sessegnon and Ryan Fredericks to push on regularly, they struggled to gain an advantage in the final third initially. Middlesbrough, who surprisingly only had leading scorer Assombalonga on the bench in favour of starting with the same team that defeated Sunderland in the FA Cup, looked more confident without really causing goalkeeper Marcus Bettinelli any trouble. Assombalonga’s replacement Rudy Gestede was guilty of wasting Middlesbrough’s best two chances of the opening period. Even though he led the line reasonably well and worked hard, his finishing was disappointing. Gestede should have scored in the fifth minute, or at least forced Bettinelli into a save. When he was fed the ball in behind the Fulham defence, he only had the keeper to beat but stumbled and the chance was gone. Middlesbrough, with Adama Traore shining until he wasted his final delivery, should have done more with the possession they enjoyed. The only occasion Bettinelli had a save to make was from a header from Gestede, who was flagged offside. And with half-time approaching Gestede had his second fantastic chance when he was played in behind the defence once more. With Bettinelli running straight for him and in a more central position, the Benin striker lifted his finish over the goalkeeper but saw his effort trickle wide and to safety. The only occasion Fulham had threatened during that period was seconds earlier when Sessegnon’s run to the byline and excellent cross ended with Darren Randolph holding a header from Aboubakar Kamara. Neither manager changed anything at the break and Middlesbrough continued to show more going forward. 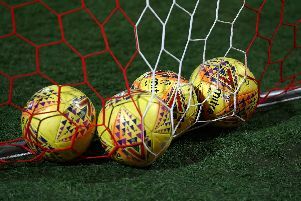 Stewart Downing fired an effort from distance over while Martin Braithwaite’s strong claims for a penalty after a shove from Tomas Kalas fell on deaf ears. After Assombalonga was introduced for Gestede, Braithwaite should have scored after cleverly beating Dennis Odoi but could only find the side-netting with his finish. Fulham could also have scored when Tomas Kalas did the same after the hosts did not react to a corner. After Assombalonga had hit the bar at one end, the breakthrough finally came at the other when Norwood was tripped by Grant Leadbitter and got up to convert the penalty. Boro boss Tony Pulis said: “I am disappointed because I thought we were the better side, especially in the first half when we had three or four chances and Fulham didn’t do anything to hurt us. We were the dominant force. “We didn’t play as well in the second half but looking at the Braithwaite penalty, it is a really disappointing decision. We understand and recognise referees will make mistakes but when they affect matches they should be called into question. “The player falls before Grant touches him. The big thing in the game nowadays is when legs tend to buckle without any challenge being made, which is difficult for referees to get right. “I am not sure who is in charge of Championship referees but you would love to ask the referee why he didn’t give it. “It has happened to me loads of times but the disappointing thing is they get a penalty at the other end which was harder to call but he blew straight away, he probably has his reasons why. “The biggest disappointment is for chances we created, you would expect the players we have in the team to take those chances. If we had scored the first goal, I think we would have won it comfortably.